Operator group Vodafone has had a €7.7bn bid for Kabel Deutschland approved by the German cable group’s board. The board will now recommend the firm’s shareholders accept the offer. The offer values Kabel Deutschland at €87 per share and the two firms plan to offer premium unified communications services to consumer and enterprise customers. They believe that they could create an integrated communications operator that generates around €11.5bn in revenue each year in Germany. Vodafone said that if the deal goes through, it will have 32.4 million mobile, five million broadband and 7.6 million direct TV customers in Germany. It added that Kabel Deutschland’s subscriber base is currently under penetrated with broadband and pay-TV penetration of 16 per cent and 12 per cent respectively. Vodafone is looking to exploit these low penetration levels as an opportunity to deliver strong future growth following the acquisition. 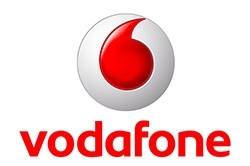 Commenting on the deal, Warwick Business School assistant professor of strategy Ronald Klingebiel said that Vodafone is keen to expand in Germany following the launch of its IPTV services offering, which uses Deutsche Telekom’s fixed line backbone. "That particular network backbone is running at capacity and Deutsche Telekom is struggling to upgrade its network with vectoring technology, something that will increase its control over competitive data traffic. «This may have convinced the Vodafone leadership to buy into Kabel Deutschland, a high-capacity cable-network provider, whom they had already approached at other times without concluding a deal. The terms of the deal also reveal that Kabel Deutschland’s management will be responsible for product development and marketing of the entire fixed line business, which will include the retail customers of Vodafone in Germany. As at 31 March 2013, Kabel Deutschland had 7.6 million total direct subscribers, of which approximately 60 per cent were on long term contracts with housing associations, according to Vodafone, and has delivered EBITDA growth of approximately eight per cent over the last twelve months. According to news agency Reuters, Vodafone had considered acquiring Kabel Deutschland before it went public in March 2010, for a price of €22 per share. The offer is subject to regulatory approval, but could still be thwarted by international cable provider Liberty Global. The firm approached Kabel Deutschland last week regarding a potential takeover and industry observers have warned that it could yet make a counter bid.